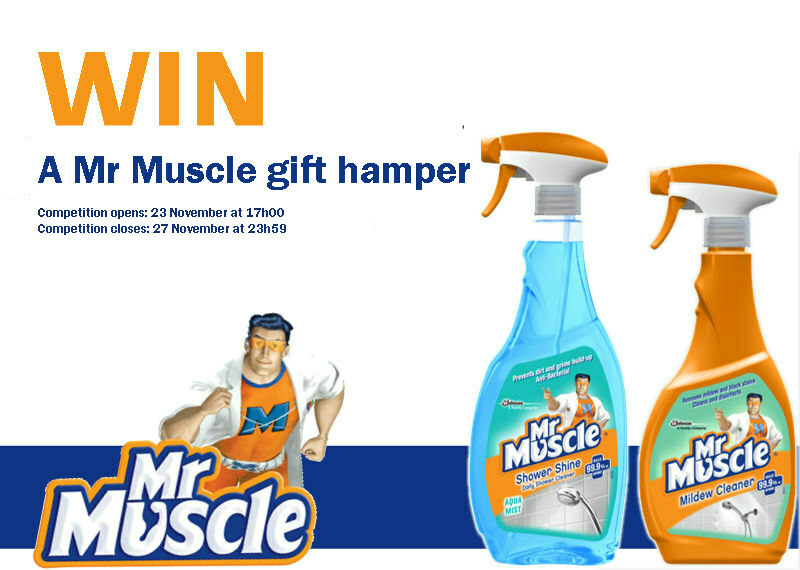 Stand a chance to win a Mr Muscle hamper! 2.1. Entries for the Competition will open at 17h00 on Wednesday, 23 November 2016 and will close at 23h59 on Sunday, 27 November 2016 (Competition Period). 6.1. The Winner will receive a Mr. Muscle Gift Basket with Mr. Muscle cleaning products to the approximate value of R 250.00 (two hundred and fifty rand) (Prize).